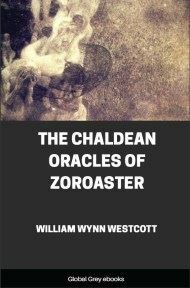 The Chaldean Oracles have survived as fragmentary texts from the 2nd century AD, and consist mainly of Hellenistic commentary on a single mystery-poem (which may have been compilations from several oracular sources, considering the random subject changes) that was believed to have originated in Chaldea (Babylonia). 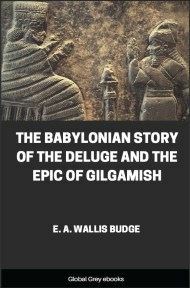 They appear to be a combination of Neoplatonic elements with others that were Persian or Babylonian in origin. Without entering at length into the metaphysical aspect, it is important to notice the supremacy attributed to the "Paternal Mind." 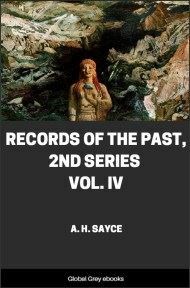 The intelligence of the Universe, poetically described as "energising before energy," establishes on high the primordial types or patterns of things which are to be, and, then inscrutably latent, vests the development of these in the Rectores Mundorum, the divine Regents or powers already referred to. As it is said, "Mind is with Him, power with them." The word "Intelligible" is used in the Platonic sense, to denote a mode of being, power or perception, transcending intellectual comprehension, i.e., wholly distinct from, and superior to, ratiocination. 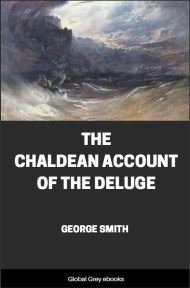 The Chaldæans recognised three modes of perception, viz., the testimony of the various senses, the ordinary processes of intellectual activity, and the intelligible conceptions before referred to. Each of these operations is distinct from the others, and, moreover, conducted in separate matrices, or vehicula. The anatomy of the Soul was, however, carried much farther than this, and, although in its ultimate radix recognised as identical with the divinity, yet in manifested being it was conceived to be highly complex. The Oracles speak of the "Paths of the Soul," the tracings of inflexible fire by which its essential parts are associated in integrity; while its various "summits," "fountains," and "vehicula," are all traceable by analogy with universal principles: This latter fact is, indeed, not the least remarkable feature of the Chaldæan system. Like several of the ancient cosmogonies, the principal characteristic of which seems to have been a certain adaptability to introversion, Chaldæan metaphysics synthesize most clearly in the human constitution. In each of the Chaldæan Divine Worlds a trinity of divine powers operated, which synthetically constituted a fourth term. "In every World," says the Oracle, "a Triad shineth, of which the Monad is the ruling principle." These "Monads " are the divine Vice-gerents by which the Universe was conceived to be administered. Each of the four Worlds, viz., the Empyræan, Ethereal, Elementary and Material, was presided over by a Supreme Power, itself in direct rapport with "the Father" and "moved by unspeakable counsels." These are clearly identical with the Kabalistic conception of the presidential heads of the four letters composing the Deity name in so many different languages. A parallel tenet is conveyed in the Oracle which runs: "There is a Venerable Name projected through the Worlds with a sleepless revolution." 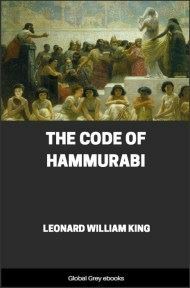 The Kabalah again supplies the key to this utterance, by regarding the Four Worlds as under the presidency of the four letters of the Venerable Name, a certain letter of the four being allotted to each World, as also was a special mode of writing the four-lettered name appropriate thereto; and, indeed in that system it is taught that the order of the Elements, both macrocosmic and microcosmic, on every plane, is directly controlled by the "revolution of the name." That Name is associated with the Æthers of the Elements and is thus considered as a Universal Law; it is the power which marshals the creative host, summed up in the Demiurgus, Hypezokos, or Flower of Fire. Of the Intelligible, or divine soul, the Oracles teach that "It is a bright fire, which, by the power of the Father, remaineth immortal, and is Mistress of Life;" its power may be dimly apprehended through regenerate phantasy and when the sphere of the Intellect has ceased to respond to the images of the passional nature. 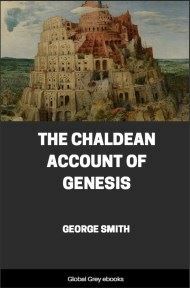 Concerning the rational soul, the Chaldæans taught that it was possible for it to assimilate itself unto the divinity on the one hand, or the irrational soul on the other. "Things divine," we read, "cannot be obtained by mortals whose intellect is directed to the body alone, but those only who are stripped of their garments, arrive at the summit." To the three Souls to which reference has been made, the Chaldæans moreover allotted three distinct vehicles: that of the divine Soul was immortal, that of the rational soul by approximation became so; while to the irrational soul was allotted what was called "the image," that is. the astral form of the physical body. The Oracles urge men to devote themselves to things divine, and not to give way to the promptings of the irrational soul, for, to such as fail herein, it is significantly said, "Thy vessel the beasts of the earth shall inhabit."